Encouraging to read this message coming out from a Bishop. First post in nearly four years. Facebook and work, home, life, have taken over the web presence. I came on here to see if this was even still up and it is. Posting pictures still works, too. 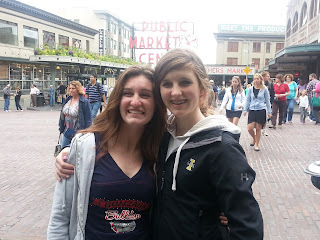 Maggie and Nora at Pike Street Market in Seattle a few weeks ago.